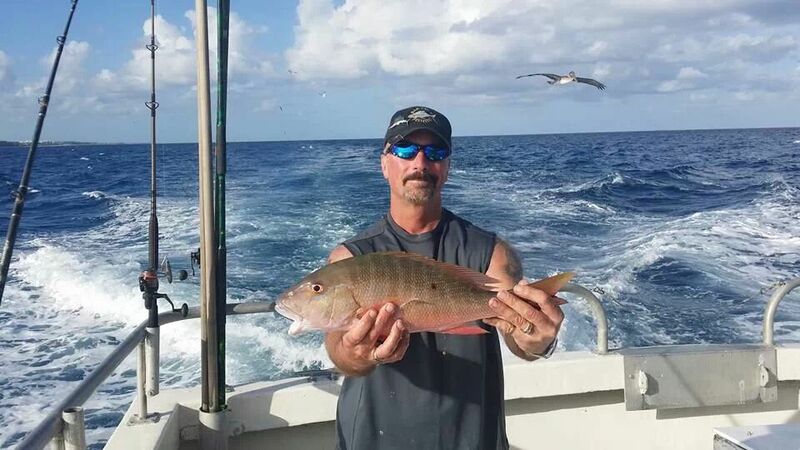 Nice Drift Fishing Mutton Snapper! Hope you come back soon Rick. Thanks to all the Bar Jack Fishing Crew. Had a GREAT time on all my fishing trips with you this winter. Once again I brought a lot of fish back to Iowa. Two of your Bar Jack employees really stepped up my last evening I fished with you and did something only a GREAT CAREING TEAM would do. Bar Jack Fishing is not just a fishing boat and crew you guys are AWESOME PEOPLE that treat every customer GREAT. Like I have said before I’ve been on the other boats around the West Palm Beach area and you guys are for sure the best. Looking forward to next time I’m aboard the Lady K. Keep Those Fish On.